Michael Nachtmann founded his company in 1834. They have steadily built a reputation as a specialist in crystal glassware. In 2004 they became the lifestyle brand of Riedel Glassworks, a family-owned business with a proud 200-year heritage. High quality goes beyond high fashion. Nachtmann’s intricate glassblowing, engraving and polishing techniques maintain the highest calibre of glasswork. Crystal glass unfolds its true brilliance with a perfect cut that refracts and perfectly reflects the light. Preferring evolution to revolution, Nachtmann creates glassware that moves the art and craft of crystal gently forward, applying traditional techniques to modern shapes to create elegant, contemporary designs. 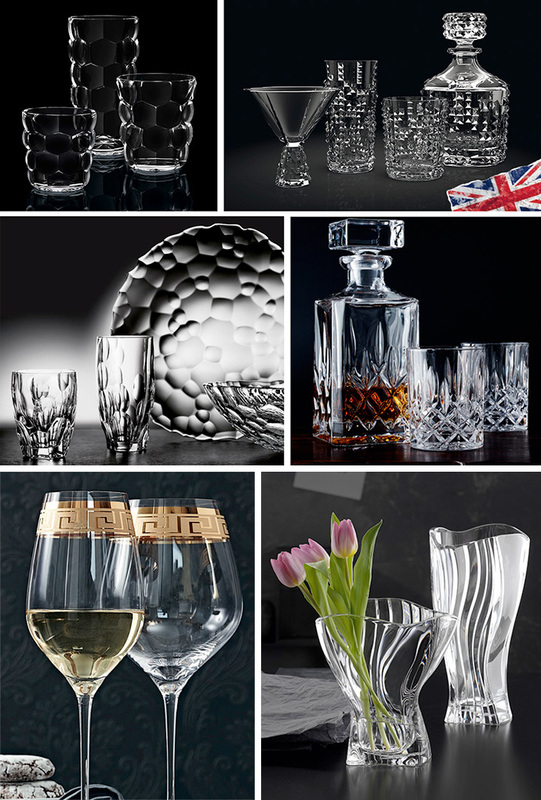 Herma’s offers a large catalogue of Nachtmann crystal products ranging from bar and tableware to crystal candleholders, platters, serving ware and vases. Be sure to ask Taco to go over the many options available.